Vintage bronze pipes, valve, key mechanical elements french horn, black background. Good pattern, prompt music instrument. 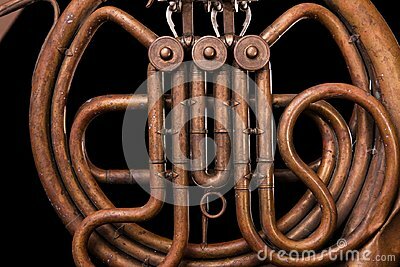 Vintage bronze pipes, valve, key mechanical elements french horn on black isolated background. Good pattern, prompt music instrument.